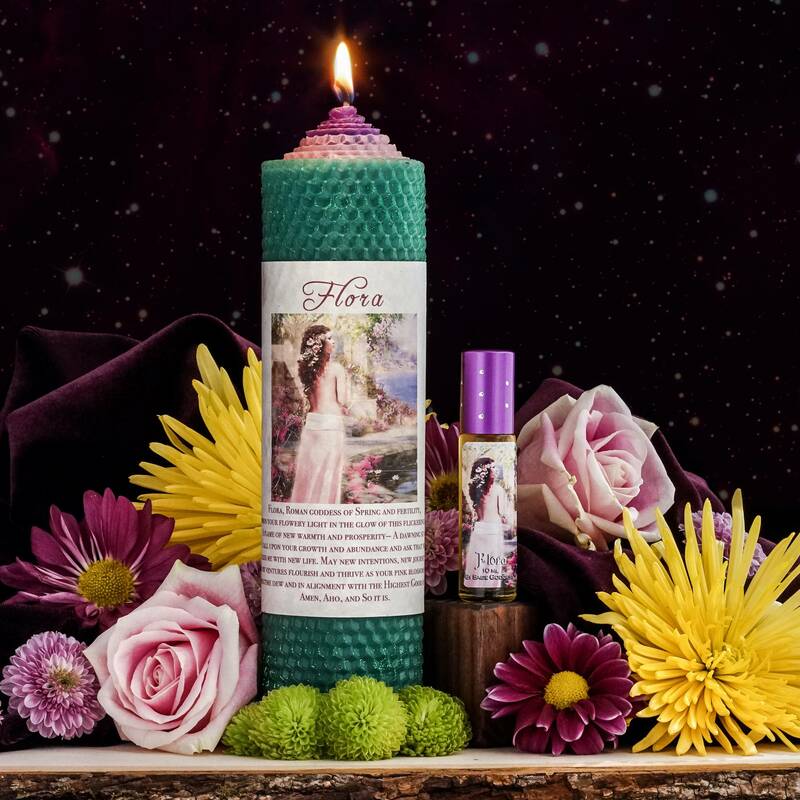 I designed this Flora perfume and candle set in honor of Flora, the Roman goddess of Spring and fertility. She is all the beauty, growth, and abundance that will surround us in the months to come. She is the scent of honeysuckle and fresh rain, she’s dawning sunlight and the chirping of baby birds. Light this candle and anoint with this perfume to invite all things new and plentiful into your life. With the expanding light of spring comes an opening in the field – can you feel it? Ask for it to be filled and you may receive. My Flora candle is a beautiful rolled pillar of organic beeswax. Each of the three rolled wax sheets is anointed with my Flora perfume and scattered with rainforest jasper chip stones. 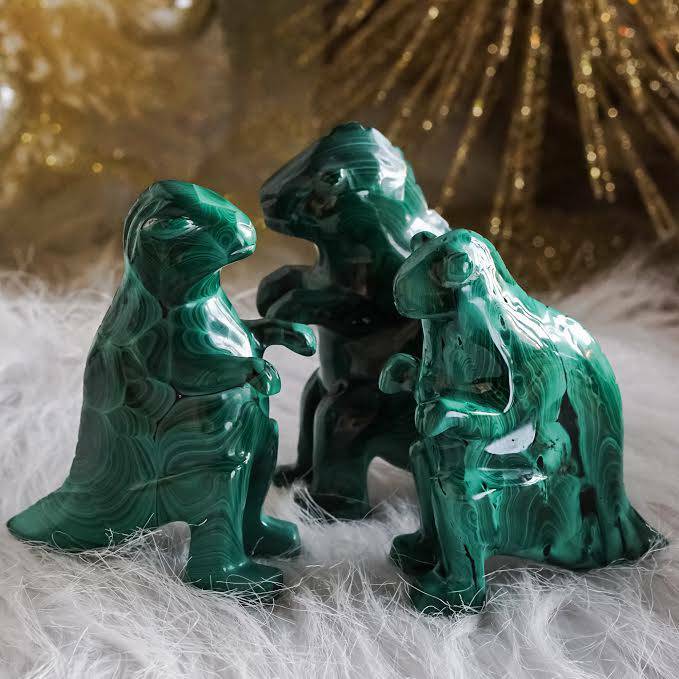 Rainforest jasper is a carrier of joy, hope, wish fulfillment, manifestation, and abundance. It leads you to discover your interconnection with nature, as well as the endless wisdom and power that exist in this physical realm. 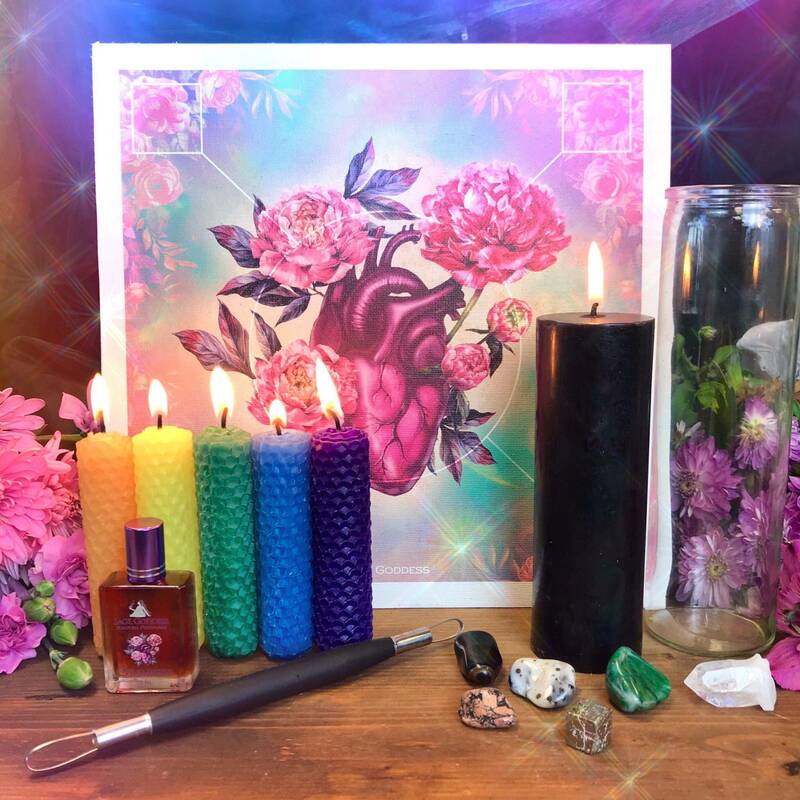 The candle comes with SG label art and a custom Flora invocation for you to read aloud during ritual. Flora perfume is an abundance blend of hibiscus, Narcissus and Indian flowers. It’s such a beautiful fragrance, and one of my most elegant I’d say. Each bottle comes infused with a rainforest jasper chip stone to further enrich your manifestation rituals, especially if what you’re trying to manifest is physical wellness and abundance. 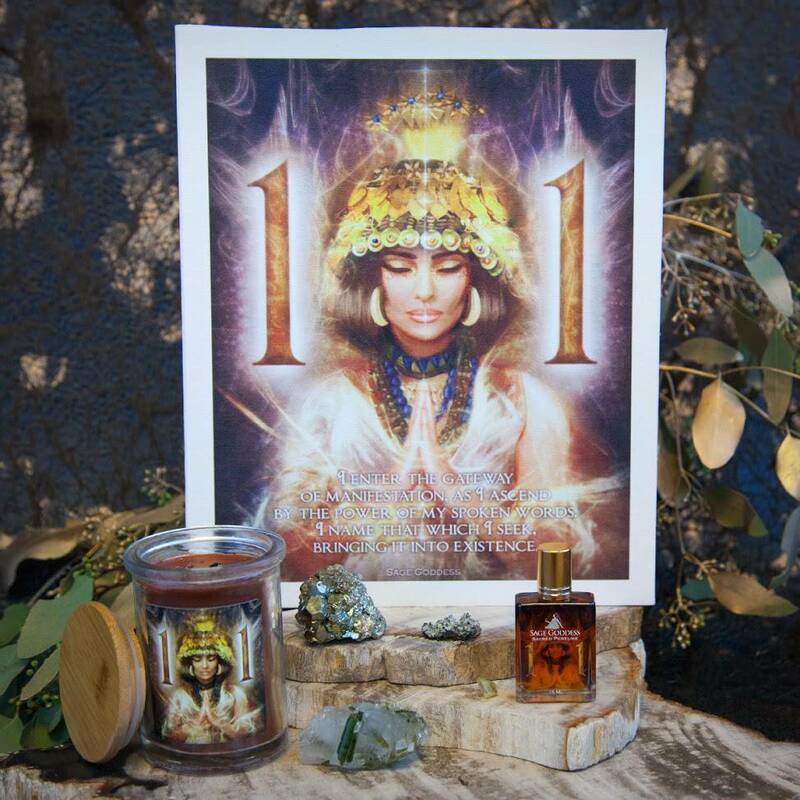 This healing and invigorating blend gives hope for the future, renewing you energetically and introducing you to the great wisdom of Mother Nature. This listing is for one (1) Flora perfume and candle set, with a drop down option to order the perfume only. Your treasures will come to you lovingly gift-wrapped for your pleasure and delight.